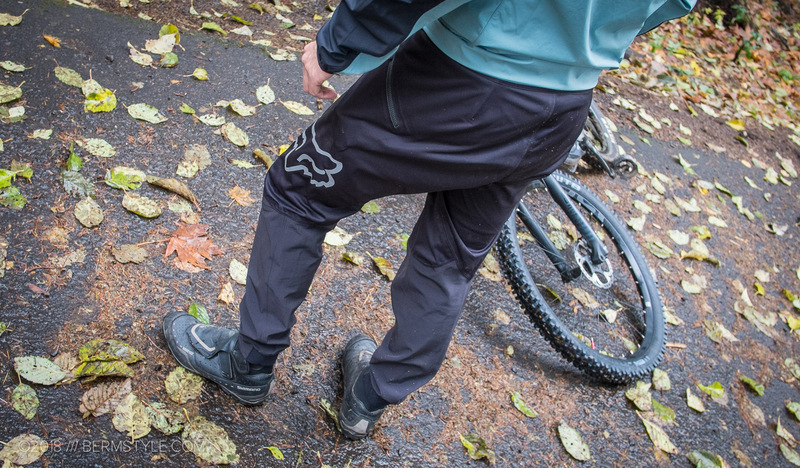 The Fox Attack Water Pant fit is optimized for the riding position. I’ve really taken to riding in pants this year, especially with the rainy season upon us. Pants make post ride clean up a cinch — simply pull them off and voila, your knee pads and shins are still clean — one less thing to deal with post ride. Looking at the options, the Fox Attack Fire Softshell pant and the Attack Water Pant looked to be serious contenders with top level fabrics, taped seams and fit designed for aggressive riding with room for pads, but also importantly, pockets. While I hate being wet and cold, I also hate overheating in our often humid riding conditions here in the Pacific Northwest. After chatting with folks from Fox, I was impressed with how much thought was put into the development of the new all conditions collection. Based on my input, they recommended the Attack Water Pant for winter Oregon riding conditions, and were nice enough to send a pair home with me to try for myself. Wearing the Attack Water(proof) Pants on a sunny day at Syncline that never ended up raining. 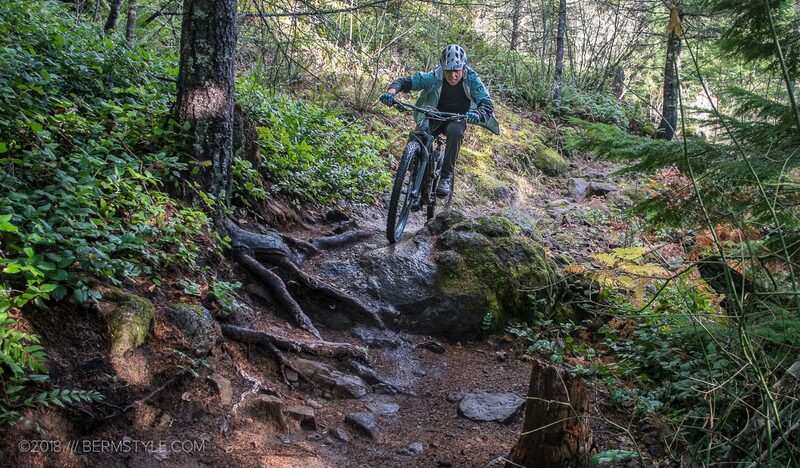 At the time, we were still enjoying ideal fall riding conditions, with hero dirt and sunny days. My first few times wearing the Attack Water Pants during Netflix sessions on the couch, where they were amazingly comfortable, especially when you consider they’re water resistant pants. After splashing through puddles at Sandy Ridge all day, the seat of the pants was covered in the wet stuff, but I wouldn’t have known, as they successfully repelled the elements. Stoked to have riding pants back in the rotation, I wore them on every ride for several weeks straight. Even on rides forecasted where it never ended up raining. Pants! Pants are damn comfortable, especially in the winter. I forgot how much I enjoyed riding in pants. Things get warm in the sun, which is to be expected wearing black pants, but I never overheated. 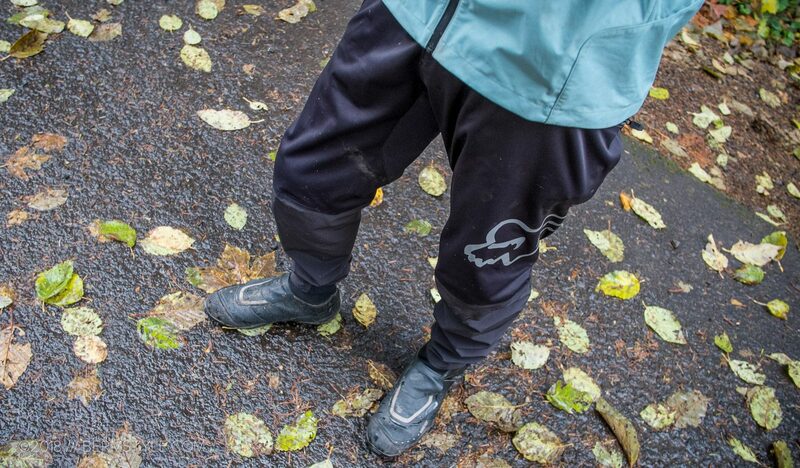 Light and easy to move around in — especially for rain-specific pants — the Attack Water Pant are actually great for all around conditions, not just when things are wet. However, based on the price tag of the Attack Water Pants, adding the less expensive Indicator all mountain/ trail pants to the gear bag would make more sense, saving the waterproof Water Pants for the days you need them. Riding the rock garden at Sandy Ridge. 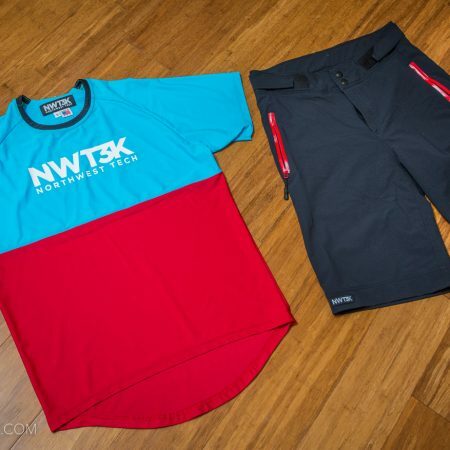 After a winter of wet water, I’m sold on the Attack Water Pant. Designed for optimal fit while in attacking the trail on the ready riding position, the fit and cut is great on and off the bike. The tapered leg keeps things close to the body without flapping around, with plenty of room in the thighs and knees for leg armor. The only thing I’d change is to size down to the 30 if I picked up another pair of the Fox pants for a more streamlined look. Thanks to a gluten-free, sugar-free diet, I’m down the realm of a 30″ or 31″ waist, and that means going down a pants size here. 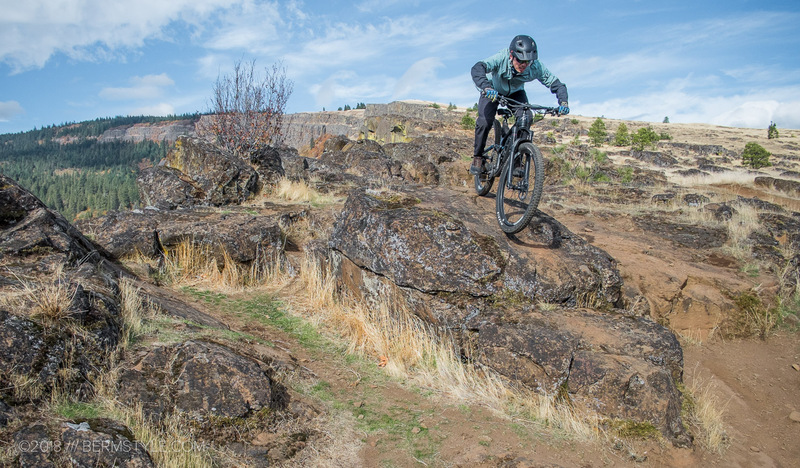 Having the right gear makes riding year-round in the PNW a lot more tolerable, and the Attack Water Pant could help quite a bit with motivation on those rainy days. 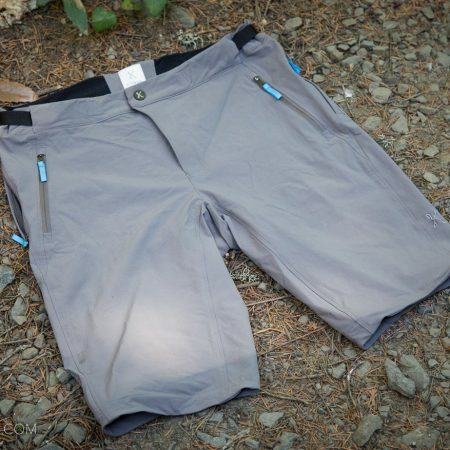 If you’re not a pants kind of rider, they’re also available as a waterproof short. 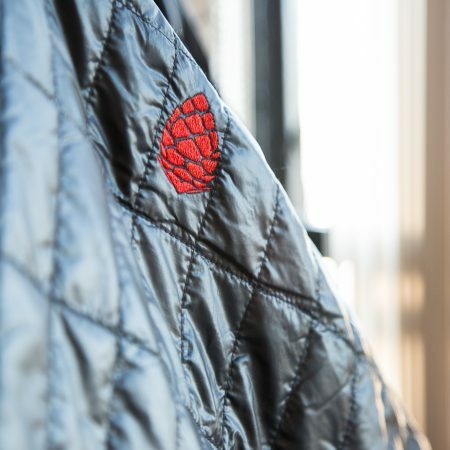 Either way, if you’re seeking fresh gear for riding in inclement conditions they’re definitely worth checking out. I’m keeping a ride journal to document how they hold up through the wet season; expect a long term review. Check it out at Foxracing.com or support the site by getting yours at Amazon.com with our link.